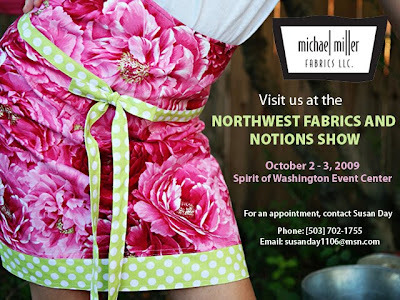 For those of you wholesale buyers in the northwest please stop by and visit us. For directions and other frequently asked questions click here. And once again another cute skirt above in our beautifully rendered Charlotte trimmed with Ta Dot. Made using once again Serendipity Studio's upcoming pattern Emaline! 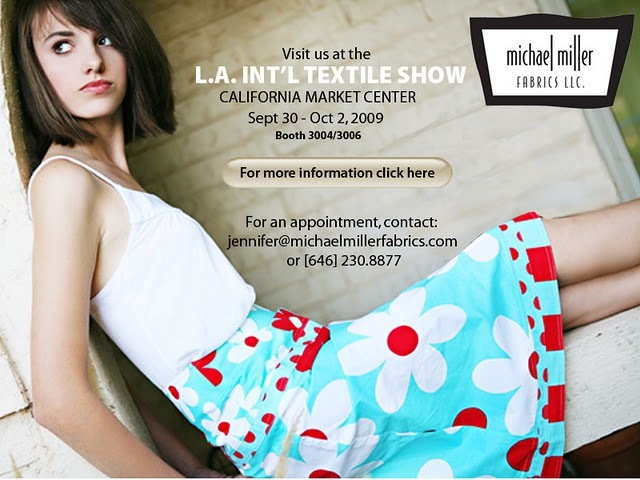 It's been a busy summer behind the scenes here at Michael Miller. Lot's to share and preview in the days and weeks ahead! 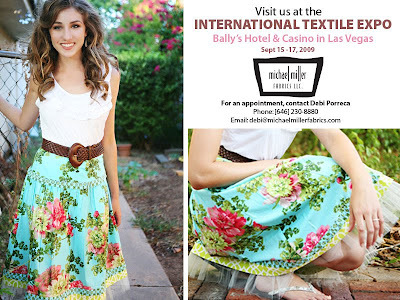 For those of you that are wholesale customers : we'll be at the upcoming Las Vegas International Textile Expo Sept. 15 - 17th. You're getting a SNEAK PEEK of a fabulous new sewing pattern: Emaline from Serendipity Studio made up in our newest girly floral Savannah and trimmed in Patty Young's clover dot along with Paula Prass's garden trellis. floralicious!